What will happen to NASA's Asteroid Initiative Mission? 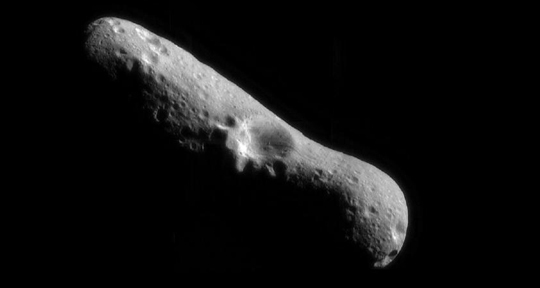 The National Aeronautics and Space Administration (NASA) wants its 2014 fiscal year budget to include funds for its Asteroid Initiative Mission. This project proposes to use robotics to capture a "small" (500 ton) asteroid and redirect it to a safe and stable orbit around the moon where it can be studied in depth. The ultimate goal is to send humans to an asteroid by 2025. While this mission sounds pretty amazing (check out a simulation of the mission here), funding for the project has been controversial. On July 18th, the House Committee on Science, Space, and Technology approved the NASA Authorization Act of 2013, which strips funding for the asteroid mission from NASA's budget (and more broadly cuts over a billion dollars from the proposed budget). Before this vote, Representative Lamar Smith (R-TX), who heads the House committee, wrote that the asteroid mission project "would contribute very little to planetary defense efforts" and "would have little scientific value." Some planetary scientists have also been critical of the mission—citing a of lack of details in the mission's plans and questioning whether it will be possible to find an appropriately sized asteroid in the timeline provided by NASA. On the other hand, current NASA Administrator Charles Bolden is committed to the mission and recently wrote that the project is akin to putting men on the moon. According to Bolden, implementing this mission will "demonstrate our new deep-space technologies" and help us "learn more about how to protect our planet and prevent natural disasters from space." The House committee's proposed decrease in NASA's budget may be even more controversial than funding the asteroid mission. The budget in the House's Authorization Act—$16.8 billion for the 2014 fiscal year—would be the smallest NASA budget since 1986 (adjusted for inflation). NASA associate administrator for communications David Weaver is concerned that this budget—if approved by both houses—will decimate the "seed corn" money needed to develop new space technologies. The Democratic-controlled Senate may be more enthusiastic about fully funding NASA's proposed budget, and specifically the asteroid mission, as President Obama sees the mission as an important step toward sending astronauts into deep space. The Senate Appropriations committee approved an $18 billion NASA budget last week. Next the respective budgets will head to the full House and Senate. *Full disclosure: my aunt and uncle work at NASA.